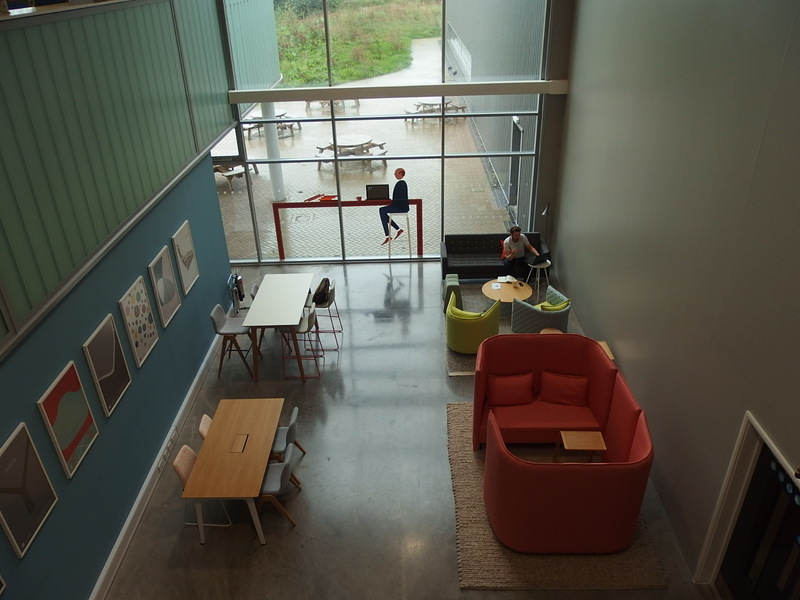 I visited the Herman Miller factory in Melksham last week – purveyor of top quality design-led office furniture. They hosted a tour as part of Heritage Open Days. The building’s architecture is pretty amazing – a long-term partnership the company has had with Nicholas Grimshaw, who’s designed all their facilities in Bath and Chippenham as well as this one. I’ve sat on and used Herman Miller furniture in my previous day job. I’m amazed to think a global brand is made so close to home. The chairs we sat on in the meeting room were so comfortable, I want one! It was a fascinating visit and tour. The Barbican does a nice line in bench repetition whether they’re outside like these, or inside like the ones I found in the Arts Centre previously. 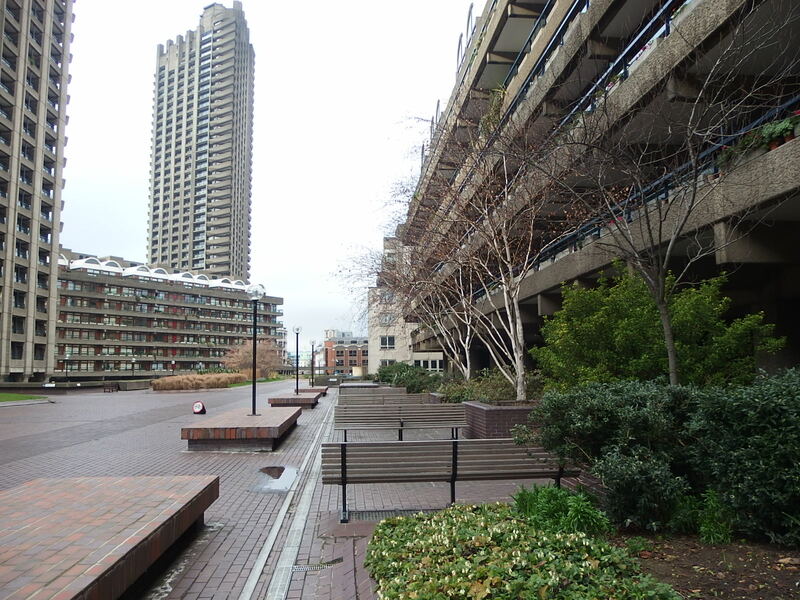 I finally managed to find the site of Nigel Dunnett’s reworking of one The Barbican’s open spaces yesterday* and found this view looking back towards that area from where the ramp up from Bridgewater Street emerges from the road below. It’s too early to feature the planting in detail, but I saw enough to get excited about a repeat visit later this year. * = it’s taken me a couple of attempts to get there. 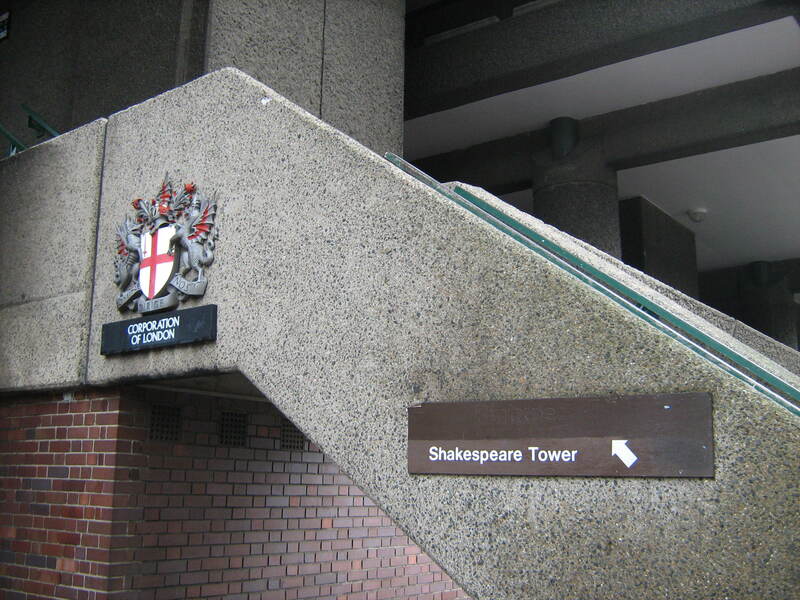 Either turn left as you come out of The Barbican underground station and up the staircase immediately at the side of the station. Or head across the road in front of the station via the pedestrian crossing, up Beech Street on the left hand side (through the tunnelly bit) and take the first turn on your left which is an actual road. 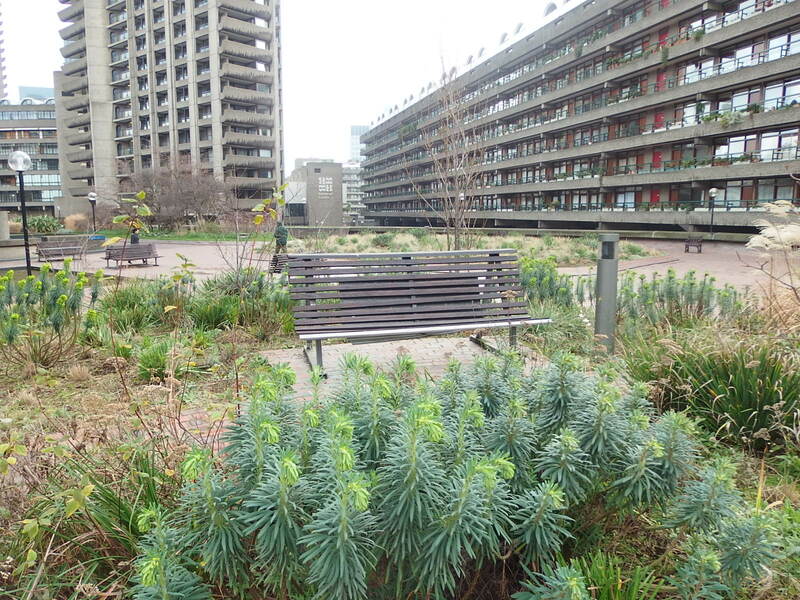 Continue past the Exhibition Hall entrance until you find a ramp on your left which takes you onto the Barbican’s housing complex and the Beech Gardens area. Facadism is a new-to-me word which I learnt recently. 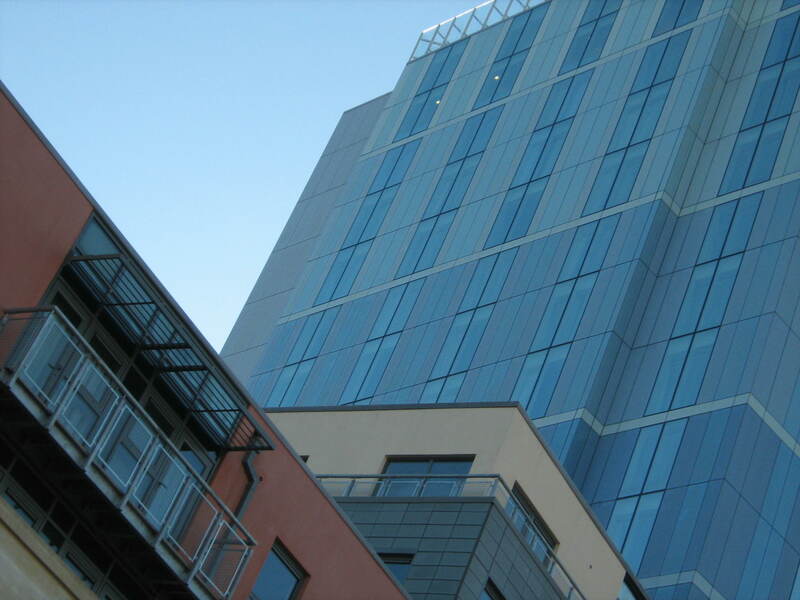 It describes when the outside skin of an old building is left in-situ with a new building developed behind it. It’s a bit controversial in the heritage/architecture world. Some see it as too much of a compromise when development of an area takes place. As an ordinary punter I prefer it to the all of the old being ripped down. It’s not a new concept – apparently the Georgians were at it in the 18th and 19th centuries. This is how I came to learn my new word as I showed an example on Twitter of a Georgian building in Spitalfields (how ironic) which had been given the treatment more recently. This picture may look a bit of a jumble but it fascinates me. I’m standing in London’s East End – Petticoat Lane, site of the famous market to be exact – looking towards The City. To the right are Georgian buildings from the late 1700s/early 1800s. Ahead is the brutalist architecture of 1950s/60s-something social housing with something of a similar nature to the left. And behind that we have the late 20th century sparkle of The City and its promise of riches. But for me something’s changed somehow. Having discovered the rich (and disappearing) heritage of the area around Spitalfields last week, that 20th century sparkle now seems more menacing than the nearby streets where Jack the Ripper once roamed. I wonder how long it’ll be before The City leaps across the few streets which separates it from where I’m standing? Modern construction in the relatively new shopping/cafe area of the station, but I rather like the shapes. I find it hard to believe I used to work in this building when it was regarded as one of the ugliest in Bristol. Now its been transformed into a very upmarket hotel and apartments. Our staff canteen is now a Thai restaurant. I hope they’ve sorted out the air conditioning though – it got very hot in the main tower block during the summer and got hotter the higher the floor you were on! 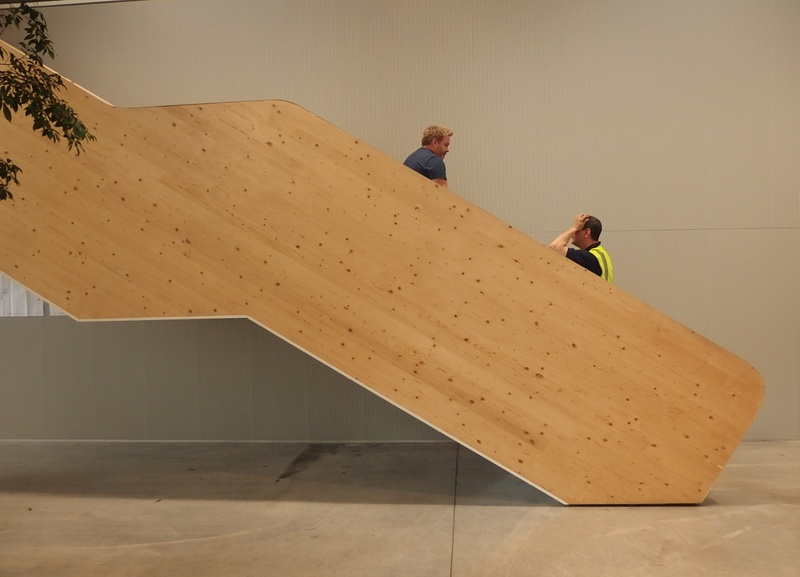 Here’s a picture of what it looked like at the beginning of its transformation, in the guise much more familiar to me. According to this article, it narrowly avoided being demolished in 2003 and has now undergone a £20 million refurbishment. A closer look at the steps leading up to the picture featured over at Veg Plotting today. 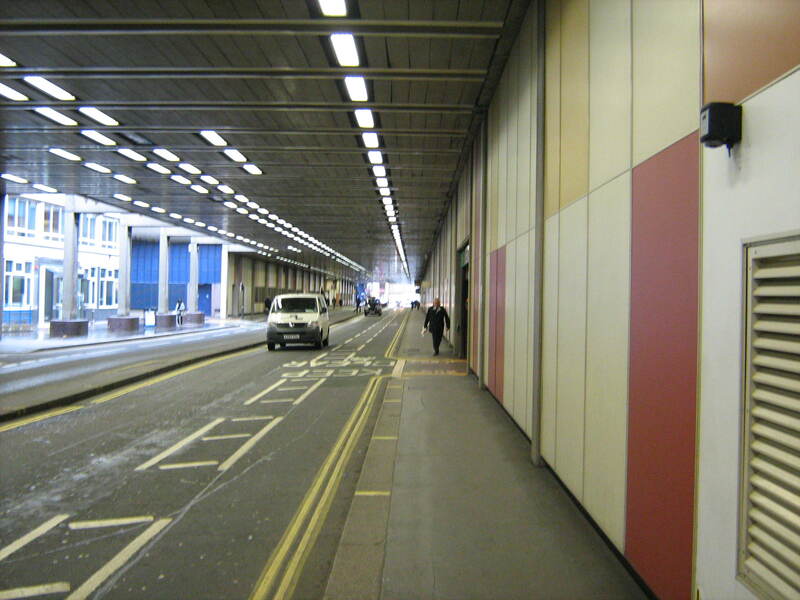 Entering the City of London from The Barbican means going through what looks like quite a long tunnel. However, looks are deceptive: the structure is all above ground (the left hand side of the picture is a clue) and was built to support a massive complex of flats for the local corporation. The modern architecture of this area is most interesting irrespective of whether you love or loathe it.